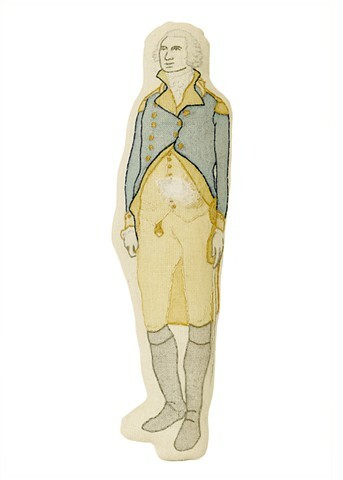 This Hurts is a small hand embroidered and painted fabric doll of George Washington. With Washington as a symbol for what our democracy should aspire to be, always striving for a more perfect union, the doll is a visual representation of the pain inflicted onto our democracy by the current regressive administration. The poly-fil guts of the doll have been ripped out, simply saying that this hurts, not just me, but everyone who has fought for our democracy in one way or another.